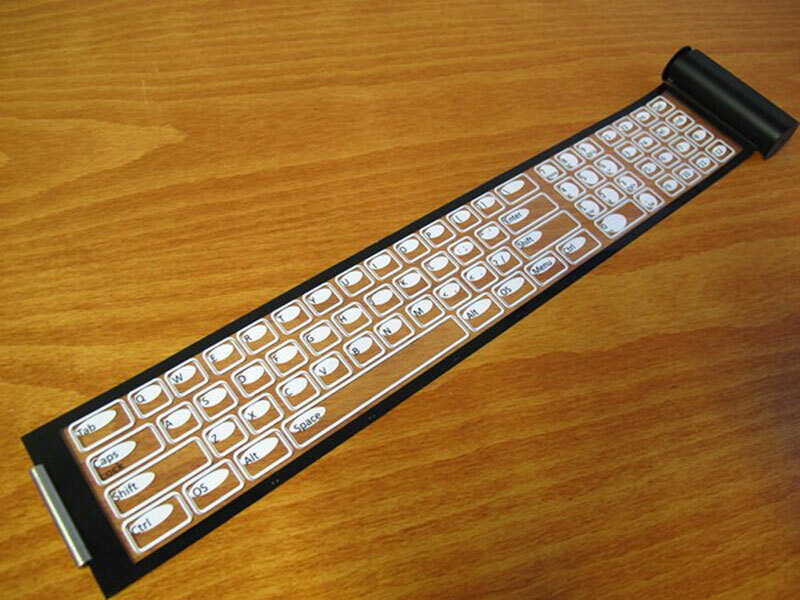 It may seem like a joke or an optical illusion, but handful of inventors have created the Qii, a stunningly thin and flexible keyboard which rolls into a portable case that you can carry along and pull out and place upon virtually all sorts of surfaces. It comes accompanied by a special app and connects to supported smart devices via Bluetooth. 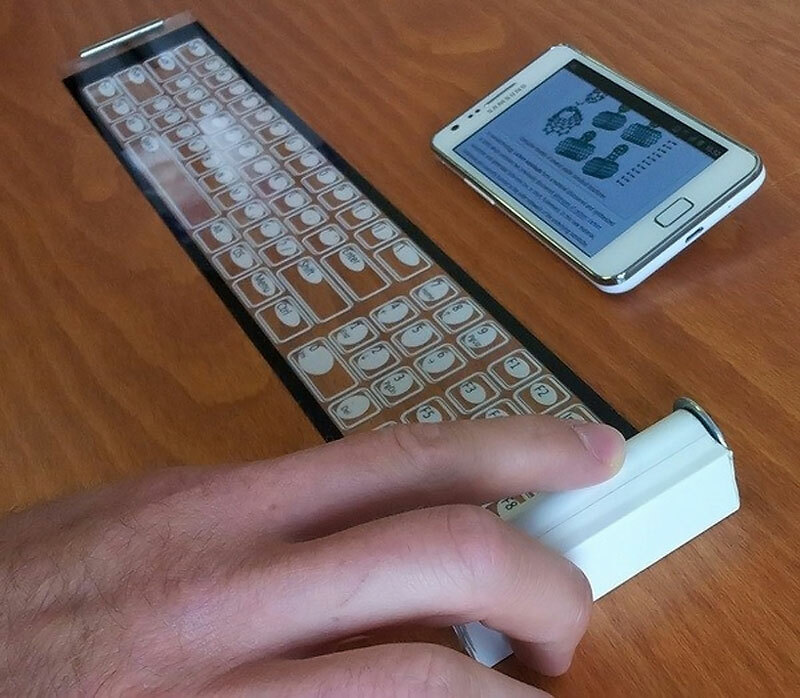 The QWERTY keyboard has a textured surface for easier typing and an anti-fingerprint coating that can be easily washed with just soap and water. Additionally, the case itself works exactly like a touchpad. 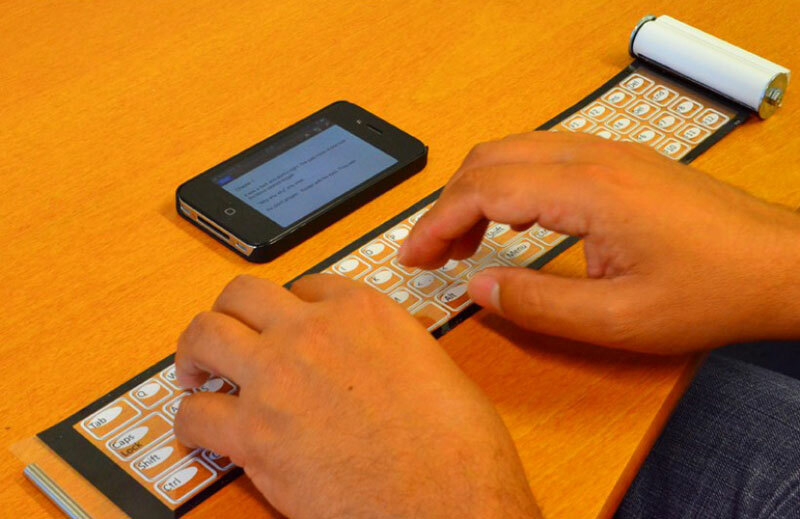 The team behind bendable keyboard has been working for quite some time on developing a technique for printing programmable touch sensors upon a carbon-based nano-material which conducts electricity, resulting in a transparent film which is easily programmable to detect both force and position of the finger that touches it. Qii’s resistance and flexibility are extremely good, so you can even drop water on it or even smash it with a hammer – it will hold out. Designers hope that ultra-thin wireless touch sensor will be the first of many products to use the technology. The Qii’s electronics are built into a bendable plastic for now, but with future development, similar electronic components could be printed on a smaller scale and onto almost any material, even paper.